Does this mod work in conjunction with ER? I haven't personally tried it, but I think advgens can take Steam from other mods. You can produce Steam with ER, so in theory yes. However you may run into oreDict issues which can be tricky to resolve unless you have some experience. Try it and see! I seem to be having an issue with trying to add some additional fuels to the Gas turbine. The error I'm getting on startup is this. I must not be formatting the config file correctly, but I'm not sure what that could be. I'm also not the best at reading RegEx. Any ideas? Your format is completely wrong. Thank you. The Wiki was pretty misleading to me. I also couldn't find that config file example anywhere. I may have been looking in the wrong tree. Thanks again and apologies for missing obvious stuff. Love the mod. Thanks for making it. 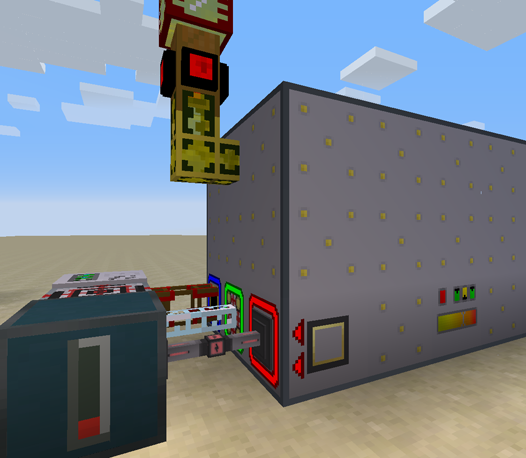 Ive been looking for a mod that could help fill my energy storage multiblockk for draconic evolution. Finally found it that produces a lot of energy. Is Redstone Flux really dying out? Well RF was part of CoFH mods and they are abandoned now, the API doesn't even have an "official" version for 1.10. It will be slowly phased out and replaced with forge energy by the time 1.11 becomes a thing i think. Is it possible to get some compatibility with Magneticraft? I like the machines in both mods and it would be great if they played nice with each other. Thanks for your work, keep it up! I haven't touched Magneticraft in a while but it's page says it's TESLA compatible. If that's the case it should work with tesla emitters to get power from turbines. Okay, that works. TESLA is already part of my pack so that's good. Thanks for the quick reply! Will be (re-)added in next update. For now you can use fuels from mekanism by converting them to liquids, either using the machine in mekanism (sorry, i don't remember what's it called) or by using Pressure Pipes. Thanks. You're talking about the Rotary Condenstrator, right? How to get the obsidian out of the Heat Exchanger? Add an Item Output Port and place a chest or some other inventory that can accept items near it.